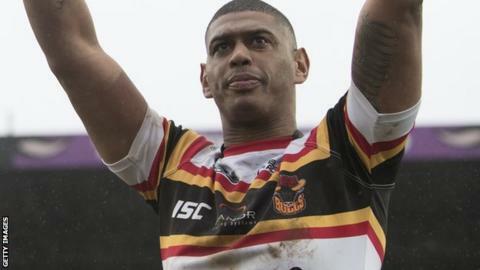 Bradford Bulls captain Leon Pryce has retired at the age of 35. The former Great Britain and England half-back started his career with the club and returned for the 2017 season, becoming the first player to commit to the reformed outfit after Bradford were liquidated. Pryce also had spells with St Helens, Catalans and Hull FC. He won four Super Leagues, five Challenge Cups and three World Club Championships in his career. Pryce made 11 appearances in all competitions for the Championship side this season. He said: "After playing rugby since a young boy I am finally done. I wished to have one more year at Bradford but I just couldn't do it."